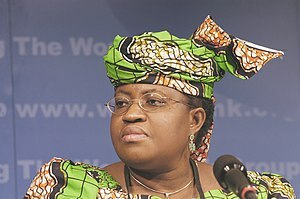 Its being reported that Brazil sees Nigeria’s Finance Minister, Ngozi Okonjo-Iweala and former Colombian Finance Minister Jose Antonio Ocampo as “great” candidates to head the World Bank, signaling increased coordination among developing nations to challenge the United States for the bank’s top seat. The BRICS nations and other developing countries are in “close contact” about the nominations to lead the World Bank, Brazil’s Finance Ministry Secretary of Foreign Affairs Carlos Cozendey told Reuters. “We continue to believe that the president (of the bank) should be chosen based on merit, and it is very positive to have an open competition process in which the candidates compete with their own views about the bank,” Cozendey wrote in an e-mail response to questions. Okonjo-Iweala and Ocampo, both with credentials as economists and diplomats, are set to be nominated to the lead the bank, according to sources with knowledge of the process. It had previously been reported that developing nations had been asked to name possible candidates for the seat, Washington has held the presidency since the Bank’s founding after World War Two, while a European has always led the International Monetary Fund. The candidacies of Okonjo-Iweala and Ocampo, who have credentials as both economists and diplomats and according to sources the respective backing of Brazil and South Africa, pose a challenge to the United States, whose hold on the top post has never been contested. The deadline for submitting nominations is Friday, and the Obama administration has said it will name a candidate by then. All of the World Bank’s 187 members nations have committed to a merit-based process to select Zoellick’s successor. Emerging and developing economies have long talked up their desire to break U.S. and European dominance of the Bretton Woods Institutions, but have until now have failed to build a coalition large enough to change the status quo. Three sources said Ocampo, currently a professor at Columbia University in New York, would be formally nominated by Brazil. One source said Okonjo-Iweala could be nominated on Wednesday, while two other sources said it would be Friday. Nominations will be submitted to the 25-member World Bank board, which has said it will decide on the next president within the next month. Two sources said Okonjo-Iweala’s candidacy had the blessing of Nigerian President Goodluck Jonathan, who convinced her to join his cabinet last year to lend more weight to his reform agenda. The decision to nominate Okonjo-Iweala and Ocampo followed weeks of discussions among emerging and developing countries at the World Bank board including China and India. Two sources said South Africa’s director at the World Bank board, Renosi Mokate, who also represents Nigeria and other English-speaking African countries, personally flew to Abuja to consult with Okonjo-Iweala about her nomination. “The impressive credentials of both Ocampo and Okonjo-Iweala puts tremendous pressure on the White House to come up with a candidate of at least equivalent standing,” said Domenico Lombardi, a former World Bank board official now at the Brookings Institution in Washington. Okonjo-Iweala, who left the World Bank as managing director last year to become Nigeria’sfinance minister, and Ocampo, a former U.N. under-secretary for economic and social affairs, will join American economist Jeffrey Sachs, who has the backing of a handful of small countries, on the nomination list. Sources with knowledge of the administration’s thinking say Washington has focused on convincing a woman to enter the race, which could go some way to address calls by emerging market nations for change. A woman has never led the bank. Susan Rice, the U.S. ambassador to the United Nations, was a leading contender, however, it is not clear she wants the job, sources have said. Former adviser to President Barack Obama, Lawrence Summers, has also been short-listed for the job. He has declined to comment. U.S. Senator John Kerry and PepsiCo’s Indian-born CEO Indra Nooyi also made an Obama administration shortlist, according to a source, although Kerry has publicly ruled out the job and Nooyi is no longer in contention, according to another source. Sachs has said he aims to challenge with his candidacy what he sees as a history of political appointments by the White House and acknowledges he does not have the support of the Obama administration. He was formally nominated by Bhutan and a grouping of developing countries including East Timor, Jordan, Kenya, Namibia and Malaysia. Lombardi said the test was whether large emerging economies like China would rally support for Ocampo and Okonjo-Iweala, or in the end vote for a U.S. nominee. Last year, Brazil and China failed to rally around Mexico’s central bank chief, Agustin Carstens, for the top post at the IMF, instead favoring former French Finance Minister Christine Lagarde, who now heads the institution. The United States has insisted that to keep funding flowing from Congress for the World Bank, it is important to retain the presidency. It is unclear if big emerging nations such as China and India would support a fellow developing nation candidate. He Fan, deputy director of the institute of world economics and politics at the Chinese Academy of Social Sciences, a top government think-tank, said he thought Beijing would do so. “We need to see whether the candidates’ value standards and judgment are in line with the World Bank’s goals. We can increase our influence in the World Bank through increases in our voting rights,” Yi added. 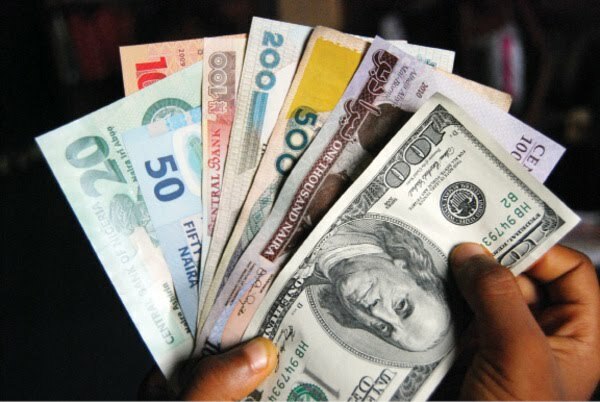 The naira eased slightly against the dollar on the interbank market on Monday after dollar demand from importers put pressure on foreign currency liquidity, dealers said. The naira ended at 159.20 to the dollar, weakening from a close of 158.85 on Friday when it hit a 2-1/2 month high, helped by U.S. oil giant Chevron selling $54 million to banks in exchange for naira. The currency was unchanged after a central bank auction on Monday. The bank sold $250 million at 156.50 naira to the dollar at the auction, the same rate and amount sold at its previous auction last Wednesday. Dealers say they expect dollar sales this week from energy firms including state-owned NNPC to help give the naira a boost. “We expect the naira to strengthen this week because of expected dollar sales by NNPC, Mobil and Shell ,” one dealer said, adding that interbank rates could start to converge with central bank rates if dollar liquidity is sustained. The naira lost 4.5 percent against the dollar in 2011 but analysts say the Nigerian currency is likely to appreciate this year given the country’s foreign reserves of $34.72 billion and because of oil companies’ expanding supply of dollars. (Reuters) – Nigeria’s biggest listed company, Dangote Cement, opened a $1 billion cement plant on Thursday, raising its production capacity in Africa’s most populous nation by more than 40 percent. The new plant is situated in Ibese, Ogun State in southeast Nigeria, just outside the commercial hub Lagos. It will produce 6 million metric tonnes of cement per annum (mtpa), which along with Dangote Cement’s two other plants will take total production to 20.25 mtpa. 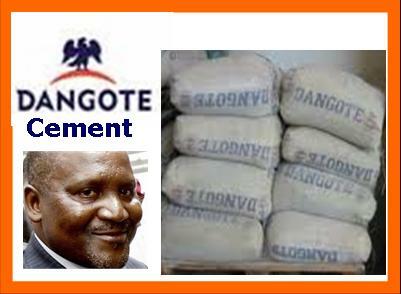 “We are working towards making the company one of the eight biggest producers of cement in the world,” Dangote’s billionaire owner Aliko Dangote said at the plant opening. Dangote said in the next two years the company’s Obajana plant, in Kogi state, would have its capacity upgraded to 15 mtpa from 10.25 mtpa currently, which would make it the world’s biggest cement plant. Reuters- Shares in Nigeria’s United Bank for Africa (UBA) fell the maximum 5 percent on Wednesday after the company issued a profit warning for the full year 2011. “The Bank expects to announce a loss, driven principally by one-off writes against earnings, including those arising from the transfer of loans to the Asset Management Company of Nigeria (AMCON),” UBA said in a statement. 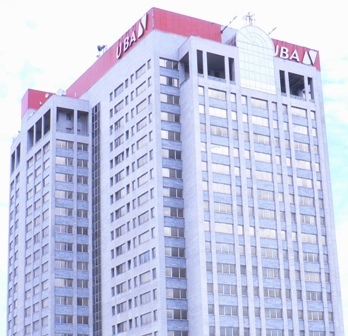 Shares of UBA fell the maximum 5.0 percent by 1129 GMT, trading at 1.90 naira per share. (Reuters) – The Nigerian naira strengthened to a 5-week high against the U.S dollar on the interbank market on Wednesday, supported by increased dollar supply from oil companies. The naira closed at 159.50 to the dollar, its strongest against the greenback since Jan. 4, and compared with 160.30 at Tuesday’s closed. Traders said the local unit of Exxon Mobil, Niger Delta Development Commission (NNDC) and state-owned NNPC sold around $500 million towards the end of last week to some banks, while France’s Total and Italy’s AGIP sold a combined $88.8 million on Wednesday. On the bi-weekly forex auction, the central bank sold $450 million at 156.50 to the dollar, compared with $250 million sold at 156.85 to a dollar at the previous auction. Dealers said the local currency should remain stable for the rest of the week because of the high level of dollar liquidity in the market, but could ease a little from next week as demand increases. “The exchange rate at the interbank is almost at par with the official window and this has made the dollar attractive to buy for some importers. We expect to see increase in demand for dollar, while the naira should depreciate marginally,” another dealer said. Traders said the naira could trade within a band of 159.20-160.50 in the near term.